teqetere welowe mene endemimesele betolo astawequn!!!! sile WALIDIBA guday adjenda aleteyazem eindae?.yigermalu... tesfa besoch nachew!!!!! hodamoch !!!! what about Waldeba????? Zikuala???? Asebot????.... My God!!! and I was hoping to hear their names, well I am proven wrong. 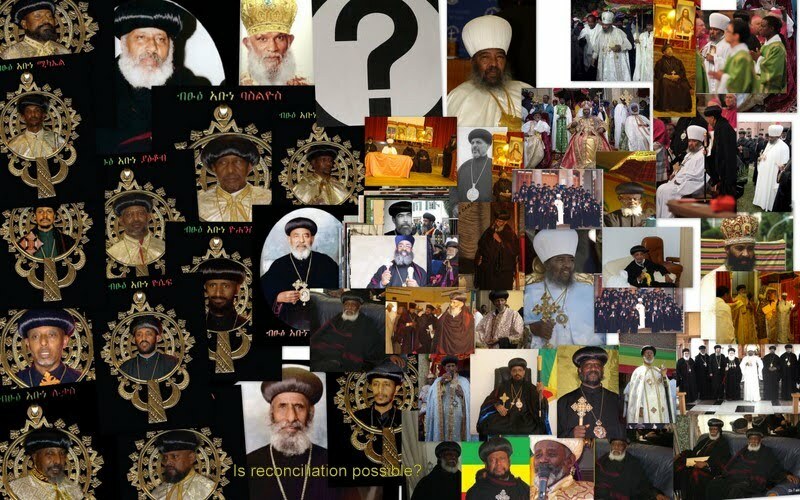 GOD keep Ethiopian Orthodox church! We want removal of paulos. ፓትርያርክ አባታችን አትሟቸው፤ ስማቸውን አታንሱ እያለ ሲከራከር የነበረ ሁሉ አሁን ወደተሳዳቢነት ነው የተቀየረው ሌላ ምን አተረፈ፡፡ ሌሎች ቀድመው ተሳደቡ ሌላው ደግሞ ዘግይቶ ተቀላቀለ፡፡ በዚህ ሰዓት ከተራ ምእመን እስከ ገዳማዊያን ፓትርያርኩ ስማቸው ሲነሳ የሚያመው ነው የሞላው፡፡ ታድያ ሰውየውን በቅድሴዉም ለስሙ ስማቸው ያጠራል እንጅ ማን ከልቡ ጸለየላቸው፡፡ እኛም ወይ በጽድቃችንና በጸሎታችን መፍትሄ አላመጣን ካልሆነም ደግሞ ጨክነን በሥጋዊው መንገድ ተጉዘን መፍትሄ አላመጣን ፡ ከሁለት ያጣ ጎመን!!! አሁን የሚያስፈልገው እንደ ሙስሊም ወገኖቻችን ”የቅዱስ ሲኖዶስ ስልጣን ይከበር፤ ፓትርያርኩ አይወክሉንም” ብሎ መጋፈጥ ብቻ !!! All our brothers and sisters above say samething. THE , I say THE, source of our problem is the Patriarch and his cronies.